In order to move in a cohesive strategic direction for the achievement of targeted results in delivery of services, the county directors are focussing on performance appraisal system (PAS). This system is a result oriented performance management tool for managing performance of all the staff working under the directors. This is a move in cascading down the performance contracting ; a performance management tool implemented by senior officers in the county. These tools ensure that all the staff achieve their set targets and are appraised as per their results. The directors are the supervisors as well as the managers of all the staff under them. They are therefore key in the implementation of PAS to ensure that departmental targets are achieved. 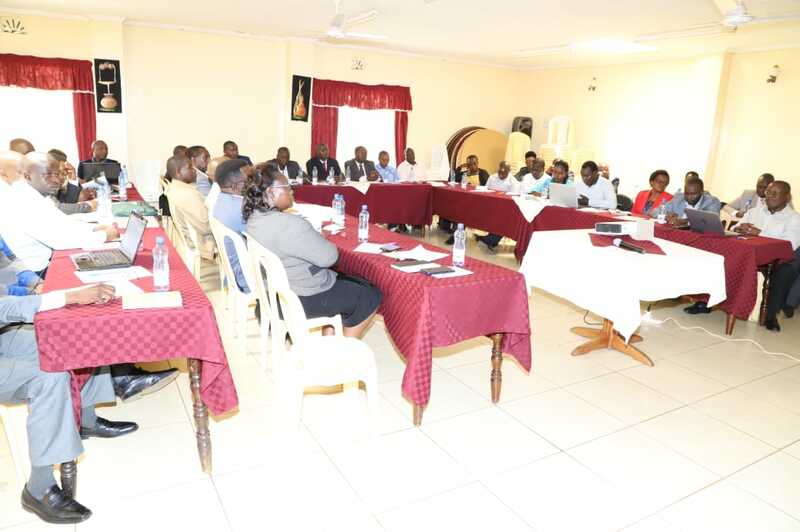 For effective implementation of this, the Public Service Department together with the AHADI Kenya held a capacity building training on performance appraisal for the Directors, Sub county and Ward administrators. The CECM for Administration, Public Service and e-Government, Teresa Morogo, mentioned that while rolling out this first ever performance management program in the county, service delivery will be boosted as every employee is tasked to achieving their goals. She further added that performance reports are compulsory for every employee as measurement of the achieved targets. The Chief Officer in charge of Public service, Grace Sugut, highlighted that the sector is determined to ensure the implementation of a comprehensive PAS covering all significant performance areas. Also present in the forum were: The CO for ICT and e-Government-Jonathan Misoi and the CO for Economic Planning-Felix Sambu. The achievement of these individual targets by all county staff result in achievement of sectoral plans and the overall County Integrated Development Plan. Performance is therefore a factor in the delivery of services and the general growth of the county.